When taking cuttings, you can greatly increase the chances of successful rooting by using Clonex Rooting Gel. 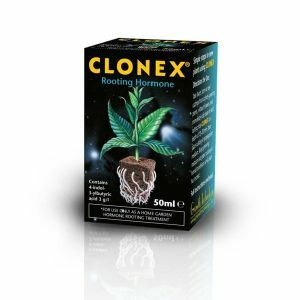 Containing nutrients, antimicrobials and rooting hormones, Clonex stimulates your cuttings into developing roots and goes a long way towards eliminating time consuming rooting failures. Highly recommended.